The communities of the Eastern Sierra and Tehachapi are reeling this week after a boat carrying five men overturned in the choppy waters of June Lake on Saturday, October 15. Two of the occupants of the boat, 22-year old Caleb Crouch and 22-year-old John Langston, managed to swim to shore. The other three men, 46-year-old Doug Langston, 21-year-old Caleb Johnson, and 14-year-old Jacob Langston, all disappeared into the water. 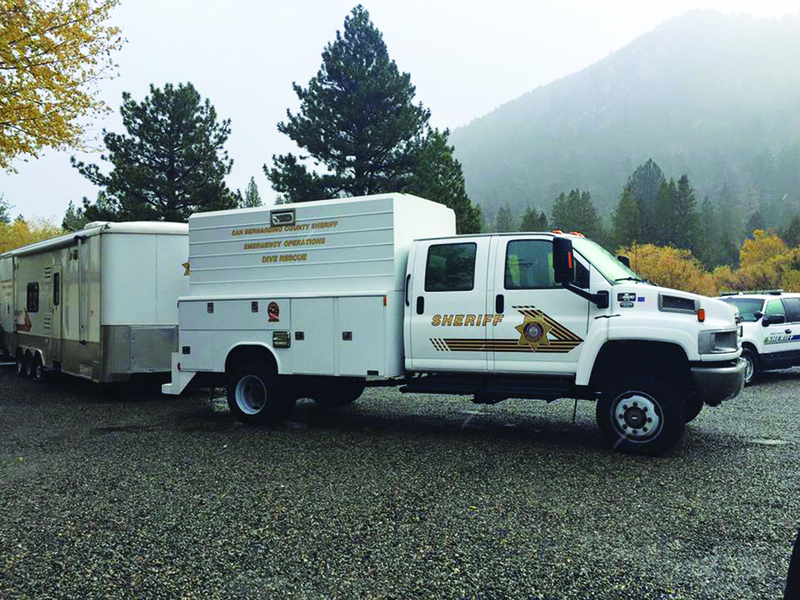 None of the men were wearing life jackets, according to the Mono County Sheriff’s Office (MCSO). Recovery efforts for the three men started Saturday, when the boat overturned and continued until Tuesday, October 18, when the three men and their boat were located near the middle of the lake around 11:30 a.m., according to a press release from MCSO. Recovery efforts were assisted by the San Bernardino Sheriff Emergency Operations Dive Rescue, MCSO Search and Rescue, Lyon County Search and Rescue, June Lake Fire Department, Lee Vining Fire Department, Mammoth Lakes Fire Department, Mono County Paramedics, the U.S. Forest Service and Lifeflight, as well as Mary Cabik and her search dog, Inca. At the Mono County Supervisors meeting on Tuesday, Sheriff Ingrid Braun wept over the loss of the three men. She said that the death of the youngest, 14-year-old Jacob Langston, hit particularly hard, and spoke of how his mother, Hillary Romo, had been strong throughout the ordeal. She said that the incident will linger in this small-knit community, much like the tragedy that occurred at Convict Lake in 1990 when seven people drowned—three teenagers and four would-be rescuers. “It’s going to stick with us for a while,” said Braun on Tuesday. All five men are from Tehachapi, MCSO reported, and are related to one another. Don Maben, Jacob’s grandfather, told Bakersfield Now that Jacob was the youngest of three kids and had aspirations of becoming a military policeman. “He was looking forward to going into a career in law enforcement,” Maben told Bakersfield Now. He said Jacob had recently joined the Tehachapi Police Explorers to gain some experience in his chosen field.